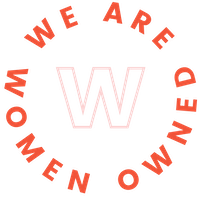 Join We Are Women Owned & xixi for a weekend of connection, creation and celebration all in the name of self-love & sisterhood! Grab the Ann Perkins to your Leslie Snope and RSVP to treat yo’ self to lady-themed goods from our women-owned pop-up market [open to all! ], participate in our panels themed around self-love, self-care & lady power + DIY your hearts out in our curated selection of hands-on workshops [schedule & ticket options coming soon]! More exciting event details coming your way soon! Be sure to check back!